In one episode he can make 당신 laugh, he can make 당신 cry, he can make 당신 want to pull his hair out 또는 펀치 him and he can make 당신 want to hug him and tell him it is going to be ok.
Like Fonzie before him, this too-cool thug in a leather 재킷, 자 켓 has diverted a good show from its original mission: To celebrate the uncool outcasts of the world. a comment was made to the poll: [*1] My 상단, 맨 위로 100 Males (1-50) // Your Favorite? a comment was made to the poll: 가장 좋아하는 male character whose name begins with M? a comment was made to the poll: 가장 좋아하는 male character whose name begins with L? 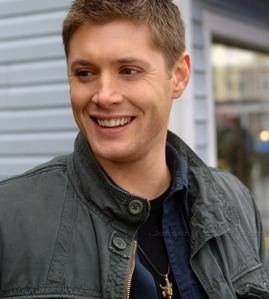 Who gave Dean Winchester his necklace? 30 일 Male Character Challenge!